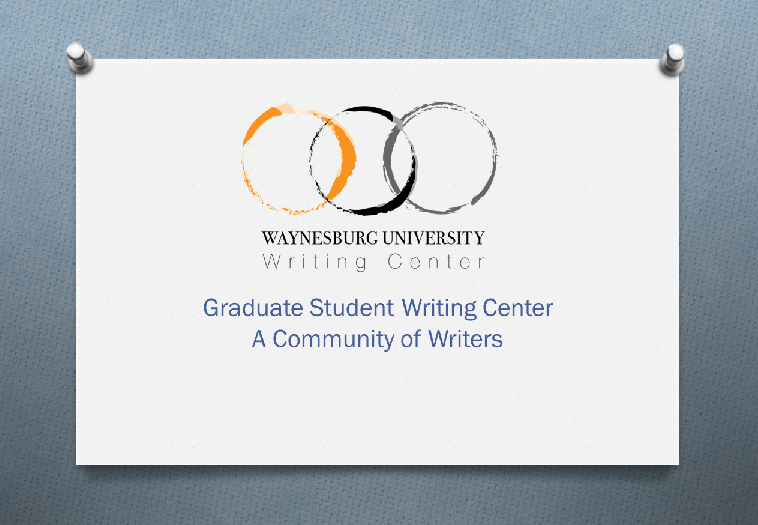 Waynesburg University Writing Center information and resources for undergraduates, graduate students, faculty, and staff. What Can the Writing Center Do for Me? For information about scheduling appointments and important things to know about the Writing Center, click the drop-down arrow on the "Graduate Student Appointments" tab. If you have questions about format, grammar/mechanics, or any aspect of writing, visit the Writing Resources page to find downloadable handouts and links.